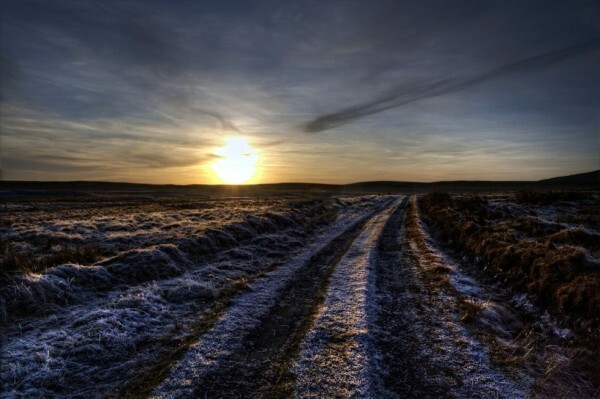 If you’re willing to walk further than the edge of Loch Watten from your car at sunset, then there are a number of locations in Caithness worth taking your camera to. Loch Scye is situated on Shurrery Estate. It’s a few miles along a track into the hill. The walk there is also very nice, taking you along past Shurrery Lodge and along Loch Shurerry for a bit. 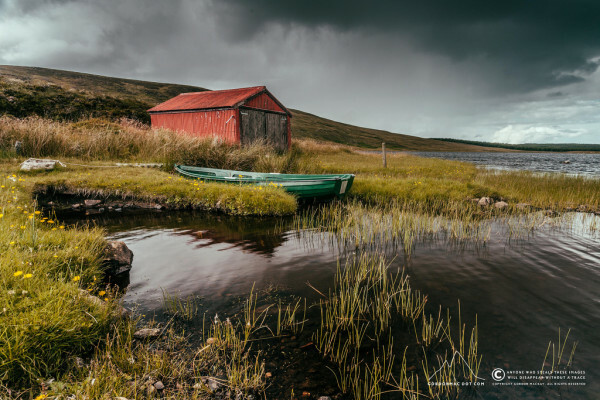 The Loch has a nice little red boat shed and often there’s a boat sitting in the water. 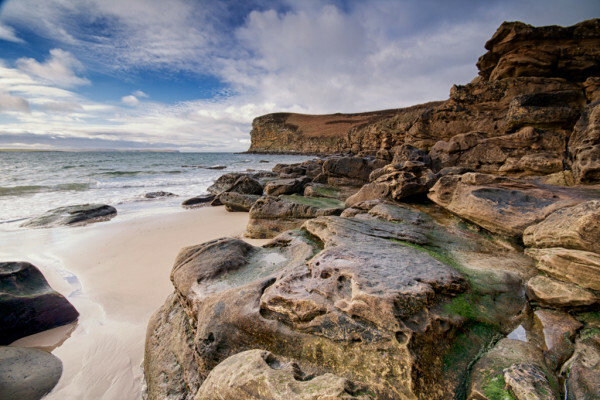 Peedie Sands is a small beach located on the edge of Dunnet Bay. You simply park at Dwarwick Pier and follow the track up the short but steep hill which leads from the pier. 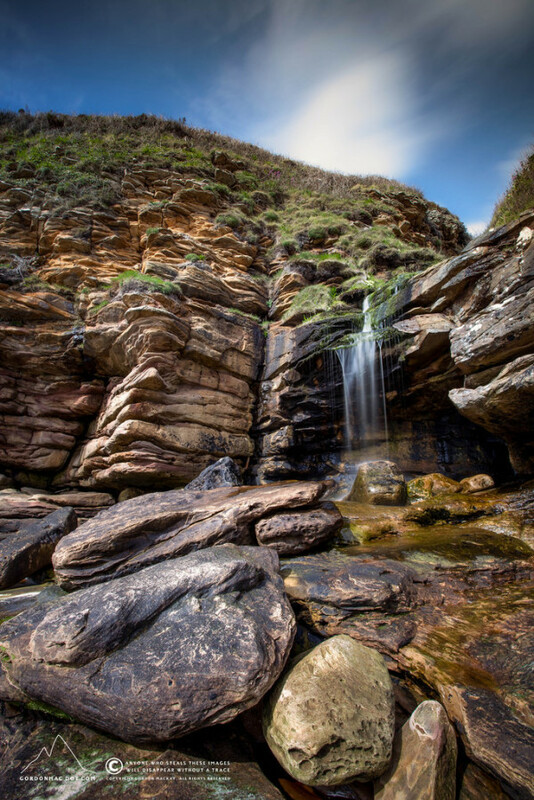 If you follow the coast from the top of the hill you can’t miss it – unless the tide is in. The lovely secluded beach pretty much disappears at high tide, so consulting a tide table prior to your trip is worthwhile. 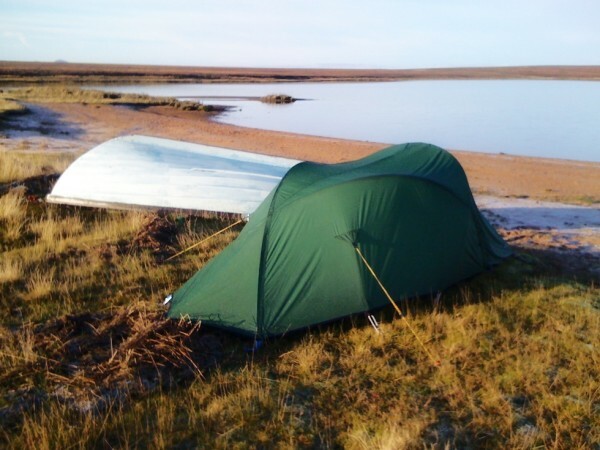 Loch Caluim is another fairly remote Loch… when I say remote, I mean quite a walk from your car. The only people you’re likely to bump into out here are anglers or estate workers. Kirsty and I have camped out there, and walked out a few times without ever seeing a soul – and certainly no one with a camera. This would be an excellent location for night time photography. 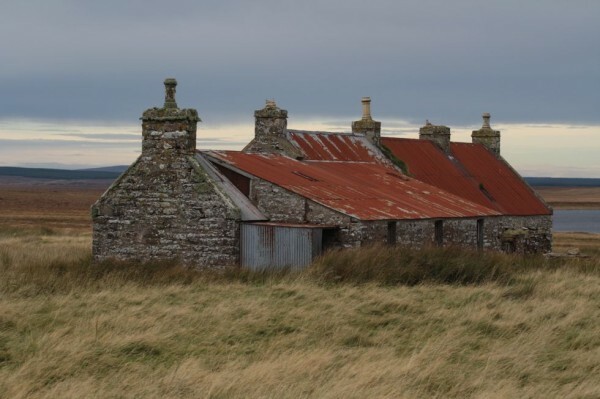 Balavreed is an abandoned farming settlement a few miles south east of Loch More. The abandoned building is quite attractive, complete with a lone tree (I couldn’t find the photo with the tree :)), but best of all it offers lovely views towards Morven and Scaraben. 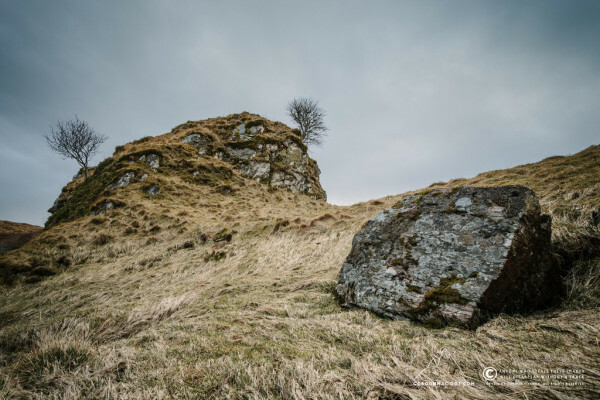 You would hardly know there was ever a castle situated here unless you saw it marked on the OS map. This location also offers fantastic views along Thurso River in both directions, and also an interesting cemetery. These locations are all within reasonable walking distance, and all worth a click. Most importantly though, none of them have been shot to death yet, because none of them have a car park nearby.